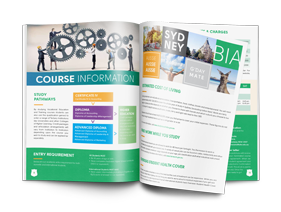 BIA is a Registered Training Organisation (RTO), registered by the Australian Skills Quality Authority (ASQA) under the National Vocational Education and Training Regulator Act 2011 (NVR2011) and the Australian Quality Framework 2011 (AQF2011). BIA is also registered on the Commonwealth Register of Institutions & Courses for Overseas Students (CRICOS). All courses are nationally accredited and internationally recognised, fulfilling the requirements of the Business Services Training Packages. If you do not meet the English requirement, you are still encouraged to apply. Depending on your English ability, we may request you to take an additional English course delivered by one of TEGA English schools prior to commencement of your study at Business Institution of Australia (BIA). To study in Australia, you will need a student visa unless you hold another Australian visa that allows you to enter Australia with no restriction to study. Student Visas can only be granted for courses that are registered on the Commonwealth Register of Institutions and Courses for Overseas Students. If you are an international student studying in Australia and have a student visa, you must purchase an approved OSHC policy from a registered health benefits organisation - commonly referred to as health funds. You will need to buy OSHC before you come to Australia, to cover you from when you arrive. You will also need to maintain OSHC throughout your stay in Australia. More information please refer to www.immi.gov.au or www.health.gov.au website.